Download our mobile apps and sign up for a free trial! 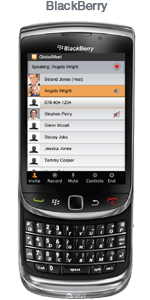 Mobile devices make it easier to conference call when out of your office. 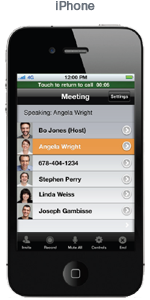 Budget Conferencing’s mobile app allows conference calls to be set up, scheduled and attended on your phone. Your business is important, regardless of where you and your meeting attendees are. Our user-friendly mobile app allows you to stay productivity when you can’t access a land line or computer. Conference calling conduct business on your existing mobile devices and eliminate the cost of travel or expensive teleconferencing equipment. Operator assist When you travel often or live in remote locations you can conduct businesses from wherever you are. Web Conferencing easily connect and collaborate through iPad, iPhone, Android or computer. You can switch between devices and can still share documents, securely transfer files and brainstorm in your conference calls. 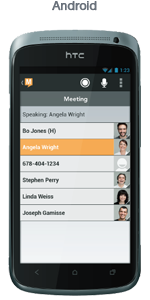 Host and manage your meetings on the go right from your smart phone.